Sara earned her bachelor’s degree from Purdue University and shares her love of science and computer programming with her students at Triton Central Middle School. Adamant about incorporating coding into her science curriculum, Sara’s passion for technology has created a spike in demand for STEM courses at Triton, especially computer science. To address this demand, Sara helped pursue grant funding that enabled the school to add two additional computer programming classes. 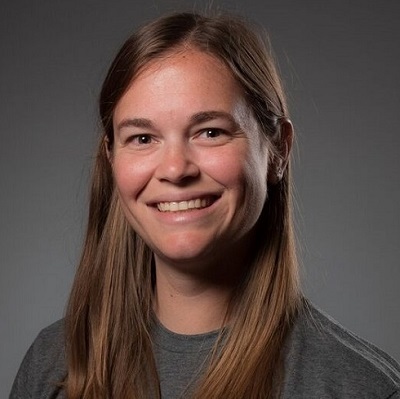 In addition to her teaching role, Sara also sponsors the Northwestern Consolidated School District of Shelby County VEX IQ (robotics) Program. This program has become one of the most successful extracurricular programs at Triton Central Middle School. Their teams regularly participate in state-level competitions, and often finish in the top 10 percent. Last year, an impressive twenty five percent of students applied for the VEX IQ program. Sara has an aptitude for inspiring interest in STEM in her students, and her community. Her efforts are attracting more and more young women to computer science careers in Indiana. We are proud to have educators like her in our state.